The original Red Dead Redemption was something truly special, it had a great story, memorable characters and a shock as poor John Marston was gunned down after everything you’ve gone through so far. 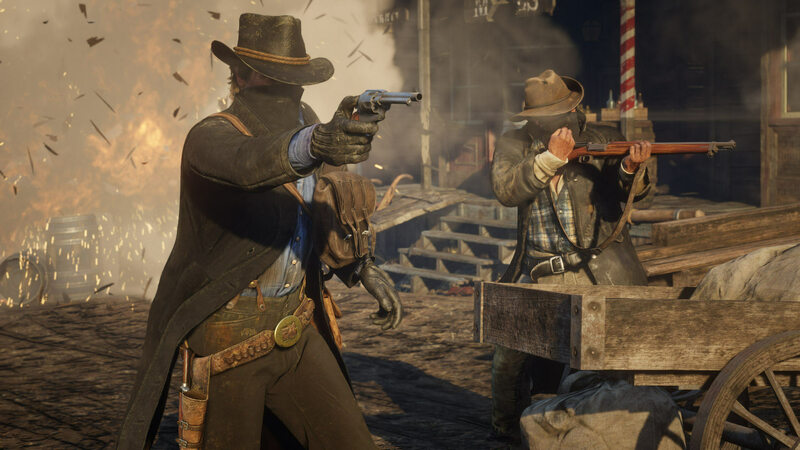 The sequel, which is actually a prequel is set during Marston’s time with his former group, the Van der Linde Gang and sees you not play as him, but as a different member of the gang, Arthur Morgan. It’s a risk to replace your most famous character with an unknown character, just look at Raiden in MGS 2 and you’ll know the reaction wasn’t exactly positive. 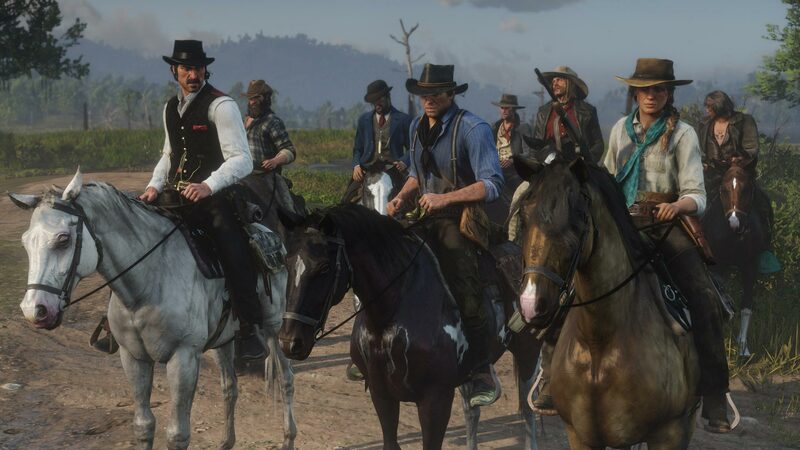 Luckily enough, Arthur is a fantastic character and even though you know you’re all doomed from the start, there’s something really endearing about Arthur and his relationship with members of the gang. The game itself places you on the run from Pinkerton agents who are trying to get rid of all the gangs and sees you move your camp from place to place in an attempt to outrun them, but they usually aren’t too far behind as the gang’s actions aren’t exactly subtle. Everything about Red Dead Redemption 2 is bigger and better than the original. The world is massive, it has hundreds of species of animals to hunt, study and skin. There are dozens of side-missions, mini-games like Blackjack and Poker, Bounties to collect, 90 challenges to attempt, a huge number of collectibles and secondary mission objectives for gold medals, much like GTA V. There’s also crafting items for yourself or your camp and a levelling system for your health, agility, dead eye abilities. The game is massive and it doesn’t even have Red Dead Online at the time of writing, I’ve finished up the main story, which is superb and am really just in the process of mopping up the trophies that I’ve either missed or still need to do, which will still take a considerable amount of time. I did come across a few glitches like the UI vanishing or Arthur actually falling through the floor while picking up a dead animal, but nothing that a quick reload of a save wasn’t able to fix and hopefully will be patched in due course. Visually, RDR 2 is a masterpiece with it’s highly detailed open world and characters that push the hardware to its absolute limits, you know its a powerful game in terms of performance and visuals when the PS4 Pro starts making the noise of a jet engine. The game claims to have HDR support, but reports say that it’s just a higher form of SDR, but it still looks incredible regardless. The load times are a bit mixed as with most Rockstar games, but as with most Rockstar games, the loading is more than worth the wait. Voice-acting is simply incredible with a stellar cast, including returning members from the original game. The script is brilliant and has moments of humour and tragedy flowing through it with ease, while the soundtrack is ridiculously strong with some great tunes and even some emotionally strong vocal songs during specific moments in the story. I won’t lie, I was pessimistic about RDR 2 in that I thought it could never live up-to the legacy of the original and I thought I was right until I left the snowy mountain area at the beginning, but afterwards….boy was I wrong. This eclipses the original in every conceivable way and I have to get Rockstar credit for that. The amount of content is staggering and that’s even before Red Dead Online. Simply put, this is the one of the best games there is and definitely the game of this generation.